The Black Rhino Chase Wheel in Brushed Gunmetal offers a blend of stunning style and cutting-edge engineering. 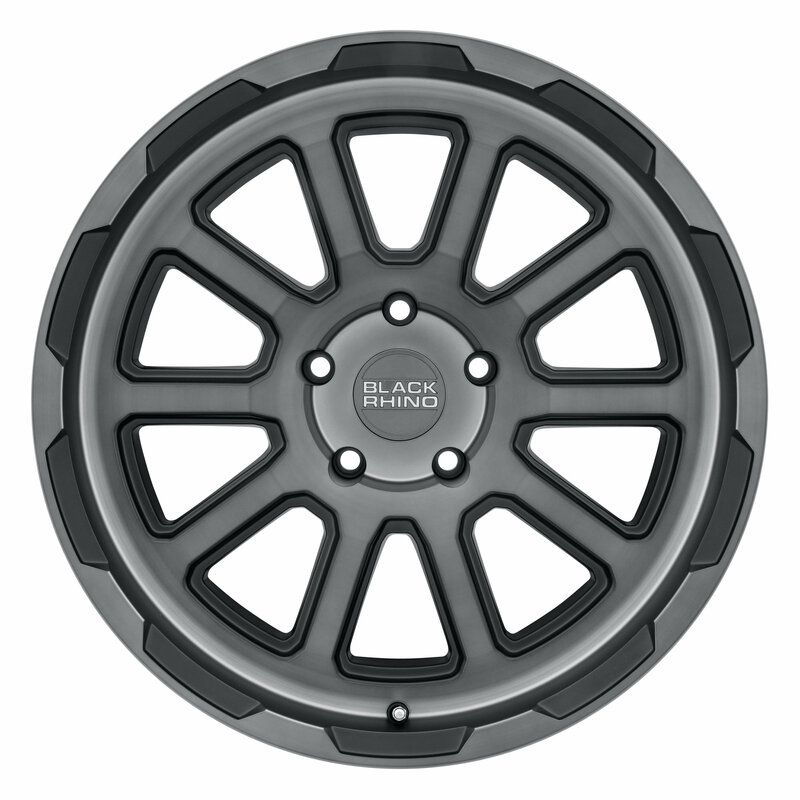 Black Rhino uses their Rotary Forged® technology to produce a rugged yet light weight alloy wheel. Rotary Forged wheels are up to 25% lighter than traditional cast wheels. Since weight is reduced around the outer edge of the wheel, the Chase Wheel reduces rotational mass. Black Rhino uses a corrosion and scratch resistant Brushed Gunmetal Gray finish, for long lasting good looks. Chase Wheels are available in 17x9.5, 18x9.5, and 20x9.5 sizes, and are backed by Black Rhino’s 5 Year Structural Warranty / 2 Year Finish Warranty. Bushed Gunmetal Gray: Black Rhino uses a durable Brushed Gunmetal Gray finish that is both scratch and corrosion resistance.